Meet Piper. 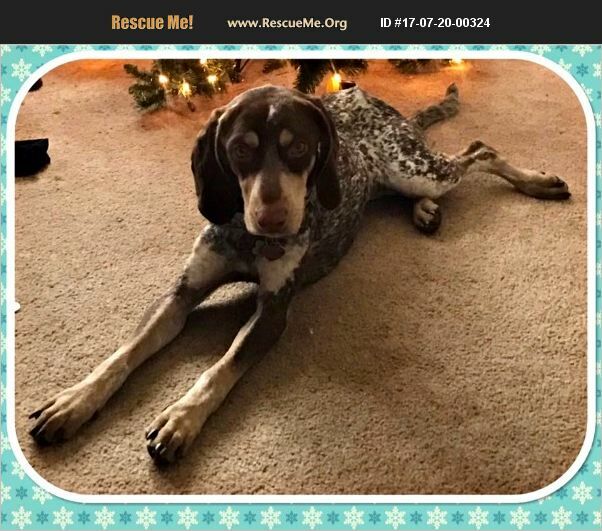 2 year old German Shorthair Pointer/American English Coonhound. Looking for a wonderful home. Piper's start in life is a little bit sad. Her 1st mom had terminal cancer and consequently Piper was not properly socialized. She is a loving dog with a wonderful heart. A gentle soul. She does have a little bit of anxiety and would prefer a quiet home with lots of room to run. She loves to be around her people once she is comfortable and given proper time. Piper loves other dogs as long as the are not anxious and know how to behave. She enjoys older children, the fast moving and noise from younger children is a little scary for her. However, she could adapt with proper training and supervision . Piper is crate trained and completely house broken. She is up to date on all vaccinations and spayed. The right person or family could make a wonderful companion out of Piper. She just needs the right fit. Piper is a bit picky with some men, with no figured out reasonings. Piper is currently cared for by Homeward Hounds of WI. She is being fostered in Waunakee. Piper must be adopted in the state of Wisconsin due to her multiple meet and greets and follows ups needed after her adoption. We will not 'ship' Piper anywhere or transport her 'blindly' to somewhere. Thank you for your understanding. Additional pictures and information on Piper can be found on our Facebook.